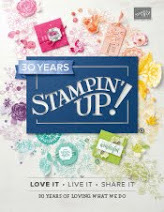 "Black Friday" has nothing on Stampin' Up! when it comes to holiday deals. 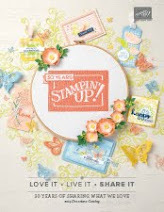 Right now you can shop the Stampin' Up! HOLIDAY EXTRAVAGANZA SALE and save big! This is the biggest Stampin’ Up! sale of the year and it runs for one week only. 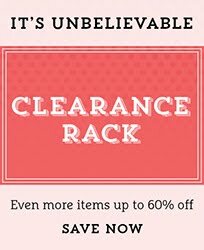 You will enjoy HUGE DISCOUNTS on an ENORMOUS range of products, and lots of them are priced at 50% off! HERE ARE THE SALE ITEMS! THIS BUNDLE IS ONLY AVAILABLE WHILST SUPPLIES LAST – IF YOU WANT ONE, ORDER IT QUICKLY! 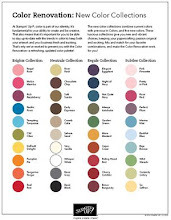 This sale makes holiday shopping sooo affordable and easy for the crafters in your life. At these prices, you can treat yourself too! You can place your order directly online by clicking HERE Then just click the ’shop now’ tab in the top right corner of the page, and you will be taken to the online store where you will find pictures and lots more information about this fabulous sale! This sale ends on Monday November 30th – if you have any questions please email me and I will be more than happy to help you! VERY SAD NEWS FOR OUR FAMILY! I just wanted to let all of you know that my sister-in-law passed away early Monday morning. She is no longer in pain and is in a much better place. Our family is happy for that. Thank you all so much for your thoughts and prayers! They have kept us going through this very difficult time. ARE YOU MISSING MY BLOG POSTS? I have finally squeezed in a few minutes this morning to catch my breath. Believe me, it is a much-needed few minutes! I am sure it is obvious at this point that I have not been posting regular blog updates and shareing all of the usual Rubber Room happenings. It is not because I haven't wanted to, believe me! However, the sad fact is that I have simply not had the time to share here. The good news, though, is that my classes and clubs are still meeting in the Rubber Room and having fun. SO, if you need some fun, please make plans to visit the Rubber Room soon! I would love to be able to tell you that I will be back to posting soon, but, unfortunately, that is not the case. I do promise though that as soon as I am able, I will be right back here posting and shareing! For those of you saying "What's the problem"? Well, in a nutshell here it is: My SIL has been diagnosed with stage 4 cancer and our family is trying to digest this information and find a way to deal with it. She has undergone radiation, and has now decided that she will not do any further treatments. Last week we were able to find a rehab center for her to go to, and this week we are trying to get her moved to a hospice facility, or into our home with hospice providing the extra care needed to make her comfortable here. Not sure how to make someone comfortable amongst our daily craziness, but we will surely do our best. It has been very hectic keeping up with her mail and her bills and visiting her at the hospital... but we are hanging right in there! Many of you who already knew this have offered lots of help and prayers, and our family is most appreciative of all the support! Of course, we are greedy and ask that you keep praying for us and thinking of us. It truly means so much to know how blessed we are with wonderful friends. I thank all of you in advance for your understanding and hope you will hang in there until the Rubber Room Ramblings blog spot is once again chock full of new ideas and daily inspiration!